Meghna Gulzar directs Alia Bhatt in Raazi. Based on a book “Calling Sehemat” by Harinder Sikka the screenplay written by Meghna Gulzar and Bhavani Iyer tells the story of a 20-something Kashmiri girl who is inducted into the covert Indian spy network that was responsible for the defeat of Pakistan in the war of 1971 at the hands of the Indian armed forces. Alia Bhatt plays Sehemat Khan – the daughter of Hidayat Khan played by Rajit Kapoor. Hidayat is friends with the Pakistan Army Brigadier Syed. Dying of cancer, Hidayat asks his friend to get his youngest son married to his only daughter. Vicky Kaushal plays Iqbal Syed, Sehemat’s betrothed. Sehemat gets married and is embedded in potentially one of the most influential households in the Pakistani army. Once there she starts passing on crucial pieces of information through many secretive channels back to Indian Intelligence Agency, and eventually saving the Indian armed forces from a deadly blow and consequentially causing Pakistan’s defeat in the 1971 war. Alia Bhatt plays Sehemat with a quiet confidence, she is not a natural spy and she doesn’t play pretend either. What she is though is a brilliant student with and eidetic memory. She learns quickly and masters the spy-craft. Once beyond enemy lines, there is a palpable sense of danger lurking every moment she goes trying to gather intelligence to pass back to India. You see her afraid and remorseful. You see her be resourceful and determined as well. And through it all you see her fall in love with her husband. 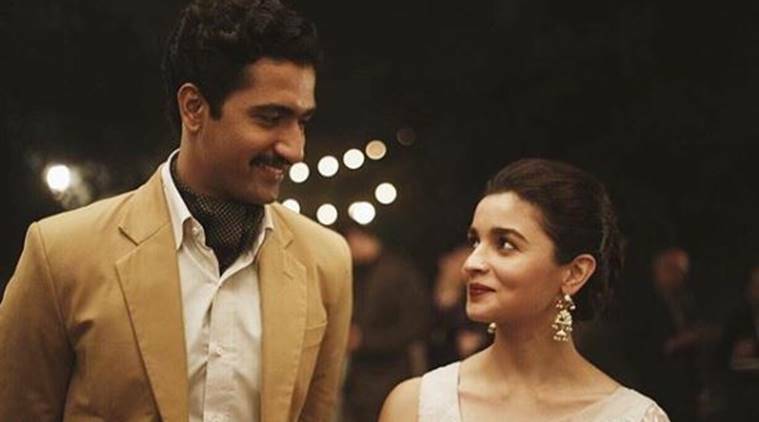 Vicky Kaushal plays Iqbal with absolute honesty. He never overplays his hand in any scene. There is a surprising restraint to his performance which makes the budding romance seem even more real and even tenderer. It is therefore just as shocking when the climax comes around. The supporting cast is absolutely solid. Rajit Kapoor who plays Hidayat Sehemat’s father, Shishir Sharma who plays Brigadier Syed, Amruta Khanvilkar who plays Munira Syed, Aman Vashisht who plays Nikhil Bakshi and Jaideep Ahlawat who plays Khalid Mir are all exceptional. Soni Razdan, Alia’s real life mother plays her reel life mother Teji! The story is based off of Harinder Sikka’s novel Calling Sehemat, a based on true events tale that Sikka came across while embedded as a journalist during the Kargil war of 1999. The story of Sehemat as recounted by Sikka is fascinating. But what makes this translation on screen such a riveting watch is Meghna Gulzar’s Screenplay and Direction. I first fell in love with Gulzar’s craft with her debut movie Filhaal. A path breaking movie for its time in Bollywood. Gulzar then disappeared until she resurfaced with Talwar a couple of years ago and with Raazi she has established herself as someone to watch out for. 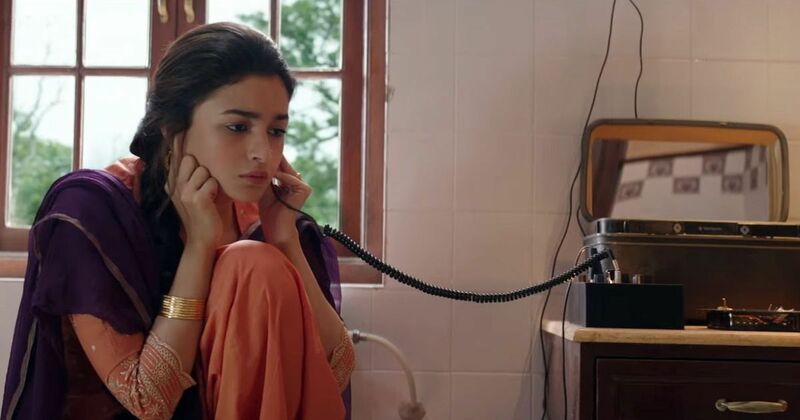 Her detailed and believable translation from Sikka’s book to Alia’s portrayal on screen is absolutely thrilling. The spy-thriller genre is almost unheard of in Bollywood and Gulzar faithfully recreates the period and gets the grammar of the movie right. Despite a slightly shaky start once Gulzar reigns in the narrative she doesn’t let it and the audience’s attention slip even for a moment. The camera work isn’t the best – it comes in too close in most scenes and you lose the atmosphere a little because of it. Cinematographer Jay I Patel however shines in the more panoramic shots. The production and set design are fantastic and the selection of vintage cars a wonderful touch. The music is classic Shankar-Ehsaan-Loy, non-intrusive yet very effective. And Dilbaro is a brilliant song. A triumph in every aspect this is a movie for the ages. Alia continues to astound with the choices she makes in the roles she picks and depicts a maturity that belies her fresh looks. I cannot wait for Meghna to continue to defy expectations and chose varied subject matter and make movies that entertain and educate its audience in equal measure.